We specialize in Windshield Replacement. Small cracks & chips, often due to small rocks or other debris hitting your windshield, can easily be repaired in most situations. Sometimes, however, full windshield replacement is the only option for larger breaks. A windshield that is damaged beyond repair needs to be replaced right away. Don't delay and contact Quick-Set Auto Glass today! Windshield glass is laminated and is considered shatter-proof because it can withstand impact better. Unlike door glass and other auto glass which is made from tempered glass, shatter-proof glass will not break into pieces. OEM stands for Original Equipment Manufacturer glass and is the preferred product of choice of Quick-Set Auto Glass technicians. 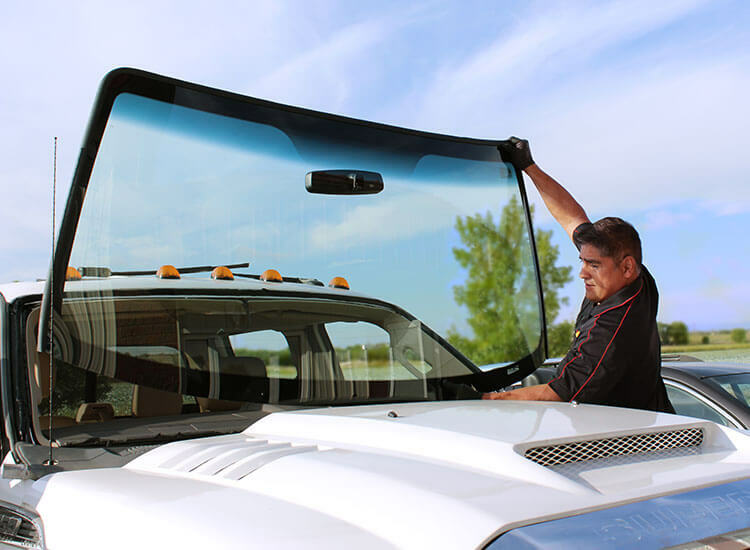 All OEM windshields are produced at a high level of quality that is identical to the original, factory-installed windshield that came with your vehicle when it was brand new. Each installation of OEM glass is completed to duplicate the original installations. All Quick-Set technicians are certified and only use the best quality products to serve our customers.